Chandan Steel World has set itself a clear goal; the company wishes to evolve into one of the world’s preferred stainless steel manufacturers. The strong standing that it envisions in the domestic and international markets will be led by the heavy duty quality standards that every member of their team has been adhering to. 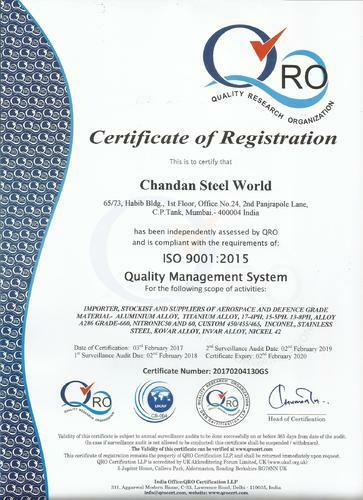 Quality-driven processes are what Chandan Steel World plans to sustain in the near future to create products that are unmatched and unparalleled; forming the core of excellence.The company is now poised to lead the industry in supplying materials that are upgraded and feature in the framework of top quality products. 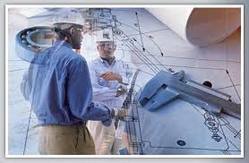 Chandan Steel World has selected the best engineers from around the country to manage the quality control department. As a result, every product that is traded out of the plant is in accordance with international standards and best practices. The reputed stature that our organization has attained in this market is due to our valued clients, who have trusted us to conduct their business activities. Hence, we leave no stone unturned to serve them in the best possible manner by offering quality approved range of Industrial Round Bars at affordable rates. Besides, to help our customers evaluate the quality of the product we can also arrange various tests before the final dispatch of orders. Customization facility is also provided by us wherein we develop the products as per the technical details provided by our customers. 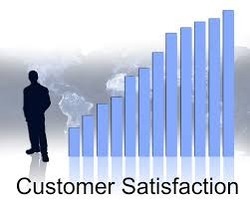 Timely delivery of orders and our ethical business deals are some of the other reasons for which we have attained maximum client''s satisfaction. At Chandan Steel World our employees adhere to and contribute to the efficiency of our quality system in every aspect of our business. Our commitment guarantees to provide our clients with uncompromising quality and service. This is achieved through a team approach where all the members are aware of the company objectives and work within their own discipline to make an effective contribution. These are the key to Chandan Steel World continued growth. Our commitment guarantees to provide the customer with uncompromising quality, responsive service, competitive pricing and on time delivery. This is achieved through a team approach where all the members are aware of the company objectives and work within their own disciple to make an effective contribution.